Our performance of Gluck’s Orfeo ed Euridice was a big success at the Royal Albert Hall. 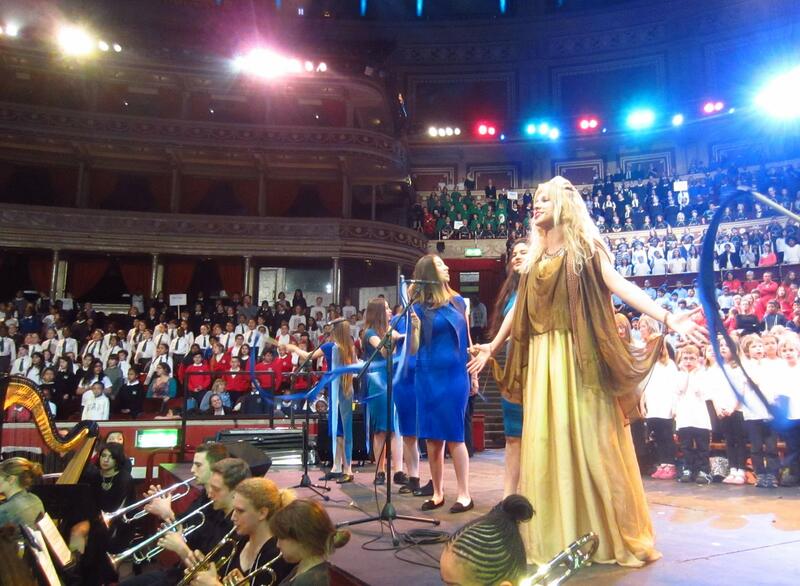 With 2000 primary school children’s voices joining in all the choruses in 4-part harmony, to a packed-out hall, English Pocket Opera Company fulfilled phase 4 of its remit to bring opera to children. The MC was Channel 4 news’ Jon Snow, and David Walliams gave a speech in his role as patron.